Yes. I am firmly convinced that videogames help one’s body to release bad energy constrained in their body. Before an exam or any other important event that causes me stress, i play action videogames. 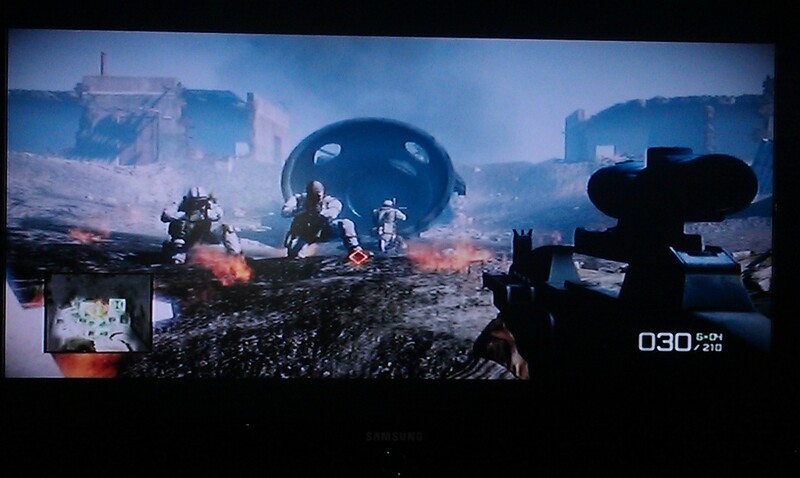 Today, for istance, i’ve played Battlefield for an hour. If my memory isn’t tricking me, I was in a mission somewhere in Russia or Georgia, and i had to protect a satellite from the Russians (f**** Russians, no offence, grrr!) . The bastards had many RPGs on the roofs, and – seriously – that has given me a hard time! Today, Liz has made me hear some mantra she saved in an audio file while discussing about a few projects at Uni. That was an amazing experience, i have to be honest; Mantras are truly relaxing. But i am afraid that videogames will always have a certain priority in my top relaxing activities. Then Mantra. Then the sound of vacuum cleaner (oooh…i always imagine myself as a cat vacuumed on its back when i listen to that white noise….meow =^^= ). And the sound of an hairdryer. This entry was posted in Uncategorized and tagged remember-remember-the-fifth-of-november-i-am-a-badass-gamer-at-battlefield-2-or-else-playing-battlefiled-is-my-mantra. Bookmark the permalink.